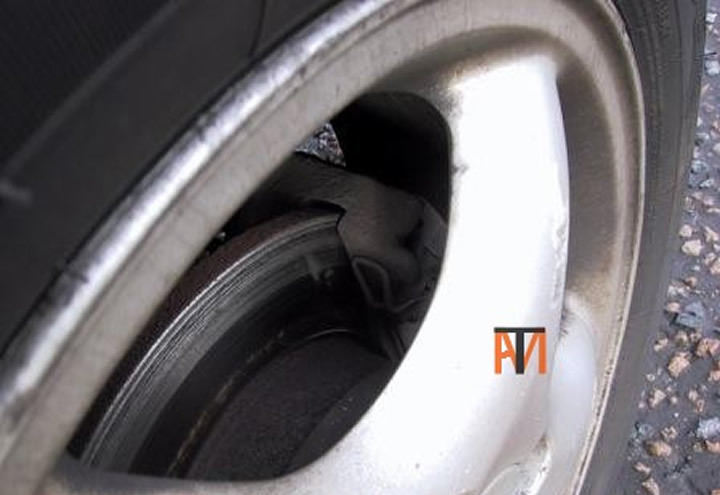 If you hear a grinding noise when braking, your brake pads are probably worn out, check disc for scoring see picture. Note! some brake pads have an audible low pad warning device, this is a strip of sprung steel that rubs on disc brake (making noise) when brake pad lining is very low. Sometimes a stone can get caught behind the disc, try reversing the vehicle, if you are lucky it will fall out.